Prominent businesswoman, Janet Holmes à Court; former Deputy Leader of the Liberal Party of Australia, Fred Chaney AO; and celebrated author, Tim Winton will be joining the Walk for Justice for Refugees on Palm Sunday, 29 March at 1pm, from the steps of St George’s Cathedral. The trio will speak briefly on the need for compassion, not punishment for refugees and asylum seekers, before joining churches and community organisations in a walk through the streets of Perth. • an end to mandatory detention. Asylum seekers are in need of our protection, not more difficulty, according to the Justice4Refugees WA network, organising the Walk for Justice for Refugees on Palm Sunday. Bring a palm frond to the grounds of St George’s Cathedral, 38 St Georges Terrace, Perth at 1pm and join us for a peaceful walk on the footpaths of the streets of Perth. Previous Previous post: Why are you walking on Palm Sunday? 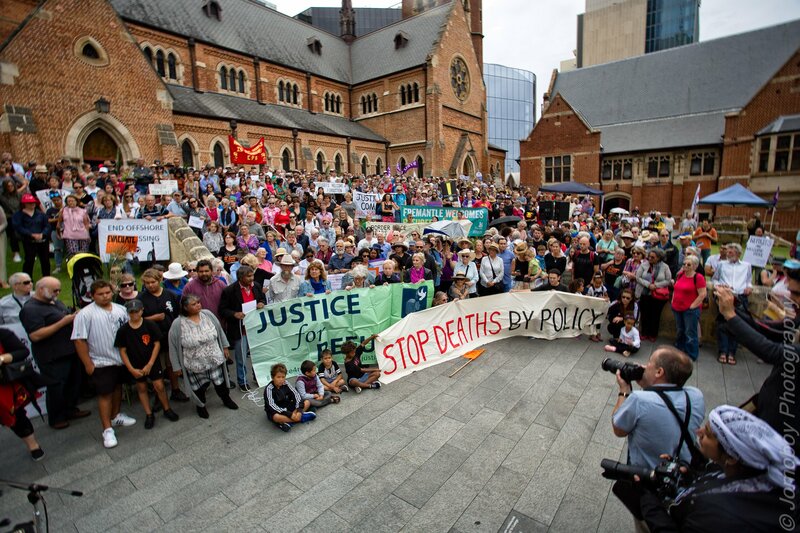 Next Next post: Cant make it to the Walk for Justice for Refugees’s peaceful protest in Perth?